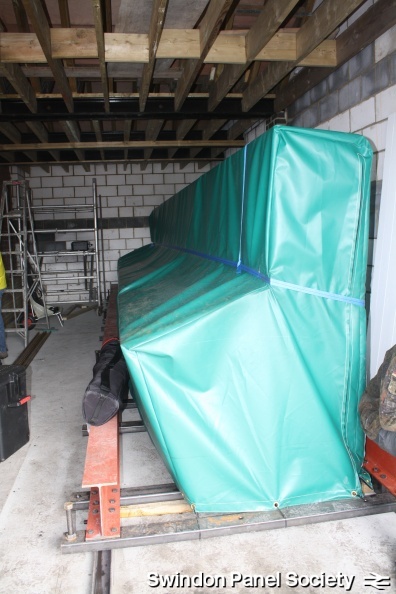 The panel has now been moved into its new building and its new permanent home. The roof of the building was finished earlier this week – just in time! 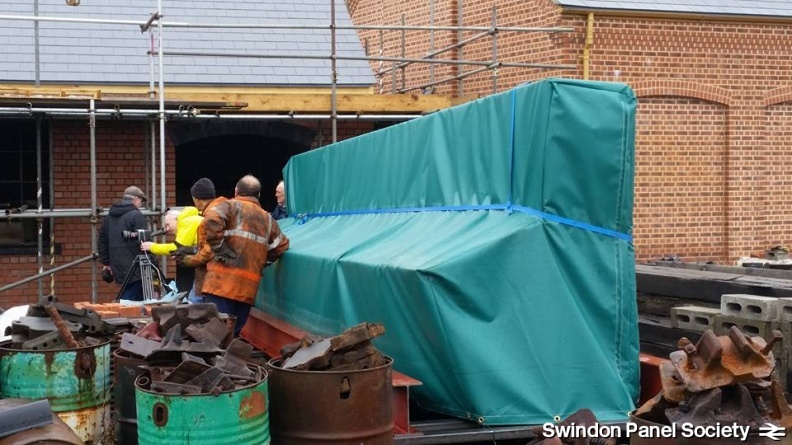 The panel was lifted in by the Great Western Society’s steam crane. 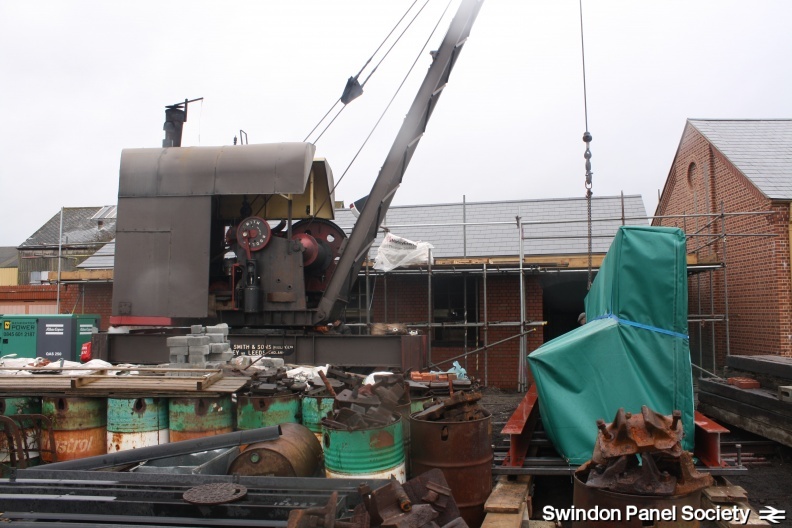 Thank you very much to everyone who has helped over the last week, the last month at Swindon and the last several years of the project – we’re home and dry… ish! The building doesn’t have any doors or windows yet so there is still a little way to go! We will be at Didcot tomorrow (Friday 8 April), Saturday (9th) and Sunday (10th) – come and join in if you want to be part of the action! We also hope to see you on Saturday 30th April for our ‘Welcome to Didcot’!